South Korea's 'show of force' Jump to media player Tension between North and South Korea remains high as the South holds more military exercises close to the border. South Korea stages defence drill Jump to media player South Korea has staged its biggest ever civil defence drill aimed at quickening the country's response to any further attacks from the North. 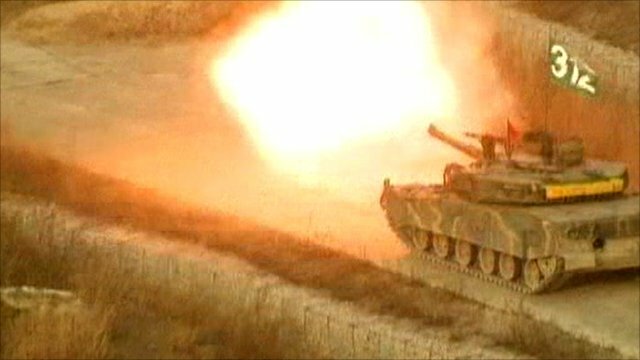 South Korea has been holding a major military drill, including live-fire exercises, close to the border with the North. The North has been critical but has stopped short of threatening a retaliatory strike. The exercises come after last month's shelling of a southern island by the North. 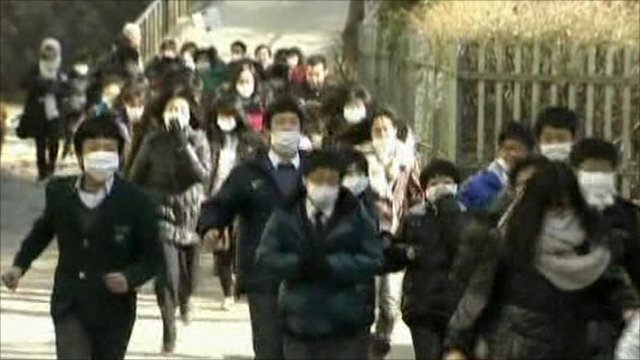 The BBC's Kevin Kim reports from Seoul.